“Ip Man 3” opened huge in China last weekend, grossing $72M -- the biggest opening ever for a martial arts film (as its distributor proclaimed). Shows were sold out in theaters across the middle kingdom. But box office trackers noticed something odd and suspicious about those sold-out screenings in some theaters over the weekend: they were for shows before 8am and after midnight, hours when those theaters were closed to the public. Also, the prices for some of those sold-out tickets were three times as high as a regular ticket. 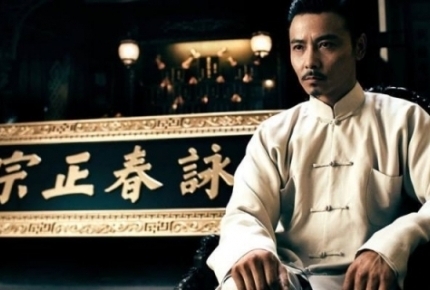 It’s now alleged that the distributor of “Ip Man 3” in China, Dayinmu, has colluded with some theater chains to inflate the film’s box office with those fake shows, and the Chinese government is now investigating it. It’s estimated that those fake showings accounted for as much as 30% of “Ip Man 3’s” weekend box office. As if a $50M opening (after shaving 30% of the $72M off) isn’t, in and of itself, an extraordinary enough figure in China. Of course, if you’re a publicly traded company in Hong Kong like Shifang Holding, that’s somehow related to Dayinmu and that can stand to gain from the film’s success via the stock market, it’s not enough. Unfortunately for Shifang Holding, this alleged scheme backfired badly. Since social media and news outlets reported on the box office abnormality on Monday, the company’s stock price tumbled about 28% (the link says 22%, but it has dropped even more since), losing approximately $150M in market cap. If they weren’t so greedy (allegedly), that could have financed several more “Ip Man” movies (“Ip Man 3’s” budget is $36M). Speaking of which, I wonder how this will affect "Ip Man 4," which star Donnie Yen said over the weekend that he's moving forward with after the film's spectacular (but now questionable) opening. It’s too bad that “Ip Man 3” and the talent involved in the making of the film is being dragged through this alleged fraudulent scheme because the highly anticipated sequel is well-received by critics and audiences alike and would have been considered a huge commercial success without the extra padding. I don’t pretend to know all of the ins-and-outs of how this alleged scheme works. It involves exotic financial instruments and shell companies (the kind of stuff that destroyed the housing market). If you want the nuts-and-bolts, check out these - three - articles.